However, fostering a growth mindset in your classroom is much more than simply telling students to “work harder.” Although hard work and perseverance help to exercise the brain as a muscle, students must engage in meaningful work with formative feedback. Teachers can guide students through reflection, advise on future learning strategies, and provide opportunities to revise work to demonstrate learning. We frequently hear students (and even teachers) make comments like, “I’m not good at math” or “I’m just not a math person.” Interestingly enough, we rarely hear adults say, “I’m not good at reading” or “I’m just not someone who reads.” Math, like reading, is a basic life skill that we use on a daily basis in almost everything we do. According to growth mindset, no one is simply “bad at math.” Just as you learned to read, ride a bicycle, or have a conversation, you can also learn to solve equations and apply mathematical concepts. In an effort to support student growth mindset in math classrooms, has teamed up with Common Sense Education, Edutopia, Teaching Channel, Stanford University PERTS, and more to develop and share meaningful resources for teachers to access anywhere. WithMathICan.org is a movement dedicated to transforming students’ math mindsets. Meaningful work and formative feedback are strategies that teachers can use universally, regardless of grade level, to support student growth. By signing the pledge with your class and accessing the free open resources from WithMathICan.org, you can take a stand to help all students grow and achieve in math. Created by Stanford University’s PERTS (Project for Educational Research that Scales), the Mindset Kit is a free set of online lessons and practices designed to help teachers share and foster adaptive learning mindsets. Download it and get started transforming your students’ mindsets by your next class. Lesson Plans from Common Sense Education are innovative, tech-rich lesson plans submitted by teachers that combine great digital tools with inspiring teaching practices. Take a look at these helpful Lesson Plans to spark growth mindset across subject areas and grade levels. You can easily use or adapt them to meet the needs of your unique group of students. We also encourage you to submit your own Lesson Plans on Graphite to share with other educators! Check out how you can get your Lesson Plan reviewed by growth mindset expert Jo Boaler. 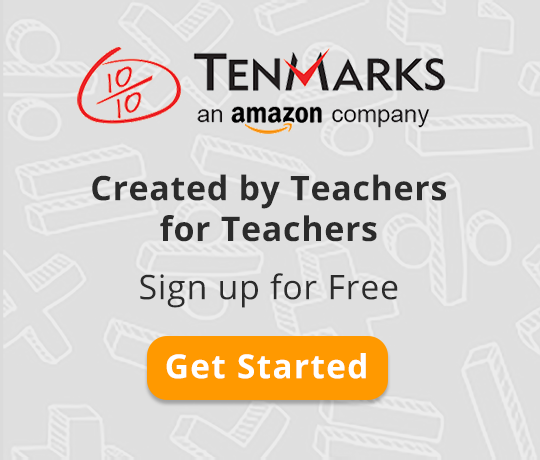 From watching experienced teachers to student-facing videos, WithMathICan.org offers a range of visual explanations and demonstrations of growth mindset. You don’t need to step outside of your classroom to virtually observe another teacher or hear his/her reflections. To get started, you can also easily and effectively introduce the concept of growth mindset to students with this animated video from ClassDojo. It can be challenging for classroom teachers to find time to meet with other educators to share resources and strategies. The good news is that there’s a community of teachers right at your fingertips! Join us every Thursday from 4:30 p.m.to 5:00 p.m. Pacific Time (PT) on Twitter for #MathMindset chat to discuss actionable ideas around math and growth mindset. Jo Boaler, author of Mathematical Mindsets, will be moderating the chat on Thursday, February 18th. In addition to the Twitter Chat, WithMathICan.org will host a live webinar interview with Common Sense Education and Stanford University’s PERTS on Tuesday, February 9th, from 4:00 p.m. to 4:45 p.m. PT to share growth- mindset strategies for your classroom. Get your questions answered live following the webinar! We urge you to take the pledge, access resources on WithMathICan.org, and share your classroom stories on Facebook and Twitter. It’s a first step to adopting a growth mindset in your classroom and helping each and every student succeed.